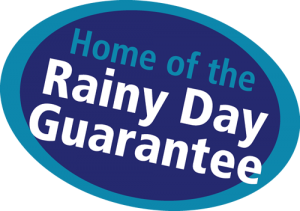 Why Use a Professional Window Cleaning/ Gutter Cleaning Service? Do you enjoy going over the same window time after time trying to get that spot or smear out that you just can’t get out? Do you enjoy climbing a wobbly ladder to clean your high windows (you can’t be scared of heights can you!)? Did you really put something (a rock, board, etc.) under a ladder leg to reach that window on a sloped side of your house (UNSAFE! DON’T DO IT!)? The employees at Sonrise Services have the knowledge base and solution to remove those difficult spots and stains from your windows, and we are properly trained and equipped to clean your hard to reach windows. I’m sure you don’t like cutting your hands on the gutters as you clean the smelly, rotten, leaf debris soup out of them. We don’t mind getting our hands a little dirty to clean your gutters, and we are properly trained and equipped to clean your hard to reach gutters. As Americans, we are very busy people. We are always on the go and often don’t have the time to do things we enjoy. Think of all the things you’d rather be doing than cleaning windows and gutters. What is your time worth? Estimate how long it takes you to clean your windows yourself; multiply that by your hourly rate for your work, and figure out how much it costs you to clean your windows. Add in the lack of proper ladder safety training and the risk of medical bills resulting from a fall, with the resulting time off work, and you have yourself a pretty expensive window cleaning. That doesn’t even take into account the fact that you can’t get your husband to clean them (he just says he willJ), or the little smears you can’t get off to your wife’s satisfaction (the ones she keeps showing you on the other side of the glass as you stand there precariously on your shaky ladderJ). Besides, you have better things to do this weekend than clean your windows! Every year in the U.S., over 180,000 homeowners are injured in ladder accidents while performing work at their home. Over 150 of these result in death! Have you been trained to select the right ladders for the job? Have you been trained to use your ladders safely? Are your ladders duty rated to handle the weight of you and your equipment? Do you even know what duty ratings are? Do you have leg levelers on your extension ladders? If you can’t answer yes to all of these questions, then you need to stay off ladders and call Sonrise Services! The employees at Sonrise Services don’t use some pre-mixed solution that you buy off the shelf at a big box store with paper towels. Nor do we use grandma’s secret formula with newspapers, leaving printers ink all over the glass! We use tools designed for professional window cleaners that enable us to be both more effective in our work, as well as highly efficient. You can’t keep up with us! Remember how you can’t get your husband to clean them (he just says he will), or the little smears you can’t get off to your wife’s satisfaction (the ones she keeps showing you on the other side of the glass as you stand there precariously on your shaky ladder). Sonrise Services can take care of those problems! 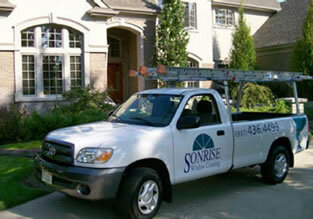 The employees at Sonrise Services are highly trained professionals who take pride in a job well done!